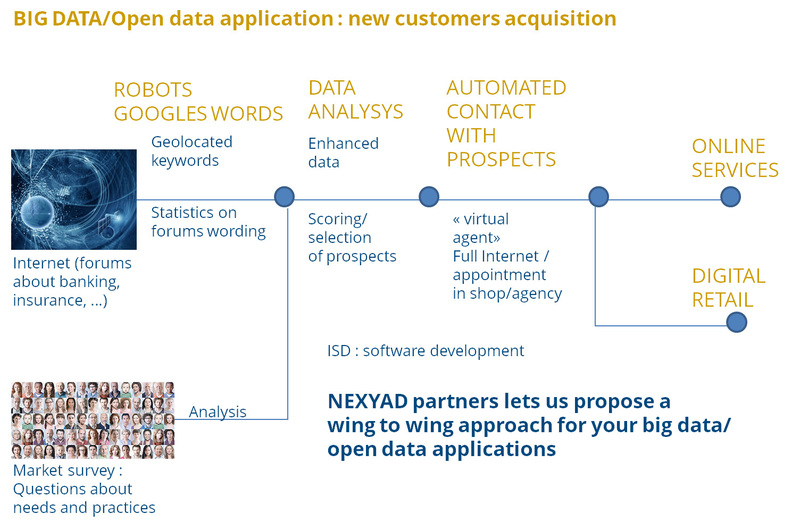 NEXYAD developed a new approach for customers acquisition from the internet. Especially for Banks and Insurances. intelligence) that automate this dialog with new prospects : wing to wing approach.